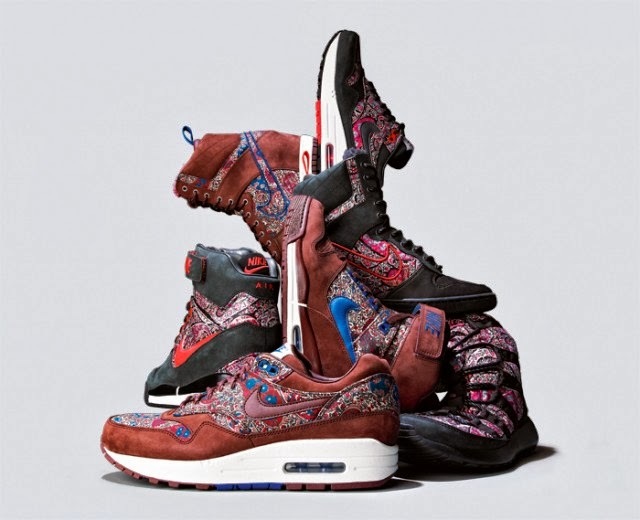 Liberty X Nike collaborations have been a great success in the past, especially with the availability of the Liberty print on Nike iD. But have they over-done it? 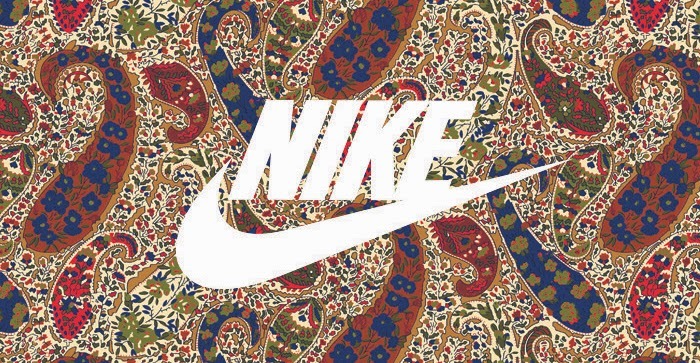 The latest Nike X Liberty of London collaboration is launching this month. "The Sneakerboot Collection", including the popular Air Max 1, will be available to buy exclusively from Liberty. This collection consists of, in the words of Liberty, "the ultimate winter sneakers". In their traditional fashion, the Liberty X Nike collaboration are continuing to combine modern street style with iconic British design. The new collection features the much loved Nike Air Max 1, the Air Revolution Sky-Hi, Dunk Super Sky-Hi and Roshe Run Sherpa. I am personally not a fan of any silhouette reinvented with a Sky-Hi twist, but a good paisley print can redeem anything, right? Bourton is the classic paisley print of Liberty. It was first produced on dress fabrics in the 1960s and has been on classic Liberty Tana Lawn since 1987. It appears the pack will be available in a Brown and a Black colourway; both good, durable and manageable colourways for winter. The official release date is yet to be confirmed, but as soon as we know you will. Will you be buying from this pack? Let me know what you think! Keep liking the Facebook Page and give me your thoughts.